Mahendra Singh Dhoni isn’t your average magician. He’s scaled summits for India that fans would do well to remember beyond his retirement years. He’s been long locked and now sports salt and pepper grey that’s still got groove in them. He hits the ball smashingly hard out of the ground. He doesn’t sledge! Girls like him. Men want to be like him. He’s taken India over the ropes on more occasions than you can do pushups on an off day in the gym. Dhoni has become a sort of mythical bogeyman for rivals who just can’t seem to get the better of him! He’s put prominence into Ranchi, Jharkhand enabling dreamers to live the dream through his success story. Moreover, the Indian one day captain is a dashing gentleman who can keep his cool when others run out of it. But what lies beyond the cricket enigma is an earnest and dedicated family man. “Mahi”, is everyone’s hero. So much so that now they are freezing his life into a movie for everyone’s fancy. We know Dhoni for his 8000 plus runs in international cricket and regard him for those brilliant 516 catches behind the wickets. We’ve seen him being coroneted the emperor of Chennai Super Kings, but there are a host of facts about Dhoni that perhaps we didn’t know. Chances are, till the time Cricket lives in the hearts of us Indians (which is for time immemorial), Dhoni will always be regarded for his cricketing skills. But that isn’t the only sport where MS excelled. In his formative years, a young Dhoni was a football freak and a consistent ‘goalie’ for his school side. Perhaps that is where the idea of saving runs and affecting dismissals from behind the wickets came from. And that isn’t all! Dhoni who has also dabbled with Badminton, plays golf quite frequently. During India’s memorable win over the Aussies in ICC World T20, 2016, Dhoni was in his golfing gear when not on the cricket field. Dhoni, on the pitch is a stark contrast to the man he is whilst he’s away from the cricketing action. 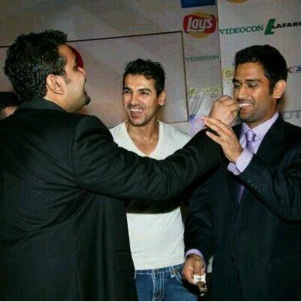 An ‘outdoorsy’ person, Dhoni is known to be quite a romantic at heart. He doesn’t mind chilling at home every now and again and is famous for taking his wife out on frequent holidays and expensive dinners, both during his overseas tours and across India. From the early days, Mahendra Singh Dhoni was always keen on following other sports apart from Cricket. In his late teens, which wasn’t too long back, Dhoni was a big WWE buff. It is believed, his favorite wrestling icons are Bret Hart “Hitman” and Hulk Hogan, then, the number 2 and number 1 in the sport, respectively. While he isn’t much of a shirtless person but one can surely say where his fitness and agility stem from. MS was a silent operator since the beginning. He can be an emotional man but knows well how to conceal his emotions, using the bright twinkle in the eye to connote what verbose language cannot. Back in 2007, the same year he debuted for India, Mahi met Sakshi, his wife and love of life. The duo first met at Taj Bengal at Kolkata, around November-December 2007, when India were playing Pakistan at the Eden Gardens. It was back in those days when Jharkhand hadn’t been officially formed and Dhoni hailed from Bihar. 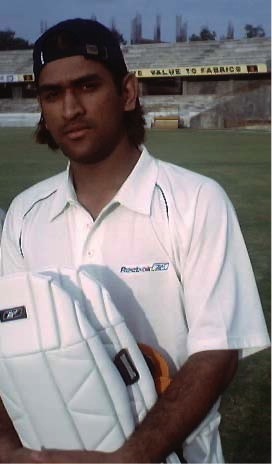 As an 18 year old, Dhoni stayed for days together in a rather modest government guest house at the Delhi-Mathura road. Dhoni’s monthly rental was a meager 150 rupees and along with his roommate, Shashi Ranjan, Mahi would stay mostly out sweating it at the nearby National Stadium and turning for clubs during weekends. We all know of Dhoni’s penchant for hitting big beefy sixes out of the ground and his silent cunning in executing thoughtful dismissals but have you ever wondered about Dhoni’s favorite food item? He can practically live off Chicken and Hot Chocolate Fudge, the two being his lifelong treasures. Dhoni is among the game’s mightiest strikers of the cricket ball. And he can accumulate runs quickly. But in the long list of records that Dhoni’s name commandingly stands against, there is a wicket-keeping batsman achievement that we often forget. 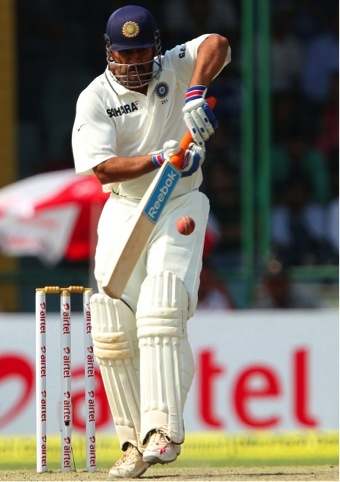 Let it be known that as a wicket-keeping batsman, Dhoni holds the record of scoring the fastest test century. He did it during 2006 when he reached his ton against Pakistan off mere 93 deliveries. MS Dhoni is a man who is connected to his roots. Once, a nobody with big dreams of playing for India, he has come a long way as a record-breaking captain having won a world cup for the country in both T20 and 50 over format. But Dhoni’s sensational rise as a star player hasn’t changed him personally one bit. Among Dhoni’s close friends, and no we aren’t talking about R.Ashwin and Suresh Raina is his own cricket manager, Yudhajit Dutta. A long time Dhoni loyalist, Yudhajit has stuck with Mahi long enough to see his cricketing career grow from being bright at one time to flourishing into a wide cricketing empire. There are hardly better sites in the world than seeing a cricketer engage with his long cherished passion. In Mahi’s case, the passion for stroking big strokes and taking diving catches closely follows his other burning desire off the cricket crease. That’s motorsports. A bike phonetic, Mahi, who owns 23 of those, by the way has recently bought a Supersport World Championship Team and aptly named it Mahi Racing Team India. Mahendra Singh Dhoni is also a spiritual person, deeply connected to his roots and culture. A practicing Hindu Rajput with roots in Uttarakhand, he frequents various temples wherever he’s traveling and when he has time on hand. 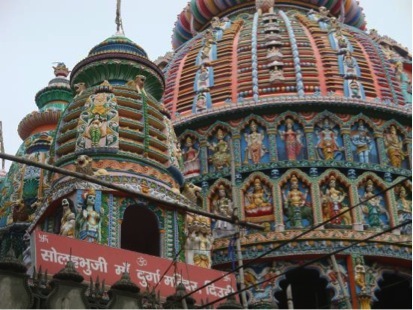 Dhoni’s favorite temple though is Ranchi’s Deori Mandir, a beautiful marvel of architecture located on N.H. 33, at the Tata-Ranchi highway. The Indian skipper has been known to frequent the temple before his playing days along with family and it’s a tradition that has continued to this day. 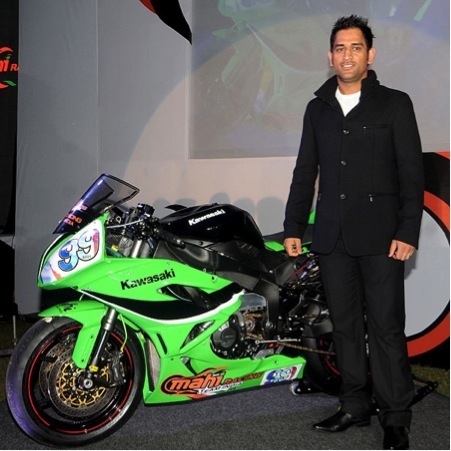 Many consider Mahi to be a bike freak. While that is true, what is most unknown is his fondness for cars. 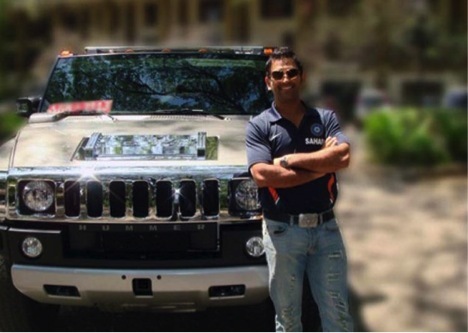 Dhoni’s favorite wagon is a Hummer H2 and in fact some of his cars bear the number ‘007’ on the number-plate. Wow! So that’s the bond for style Mahi ha? Dhoni is an avid fan of old classic Hindi movie melodies. 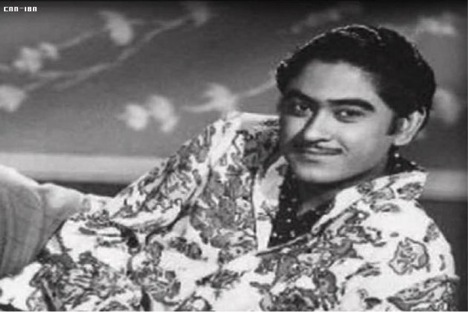 In fact, his favorite singer of all time is Kishore Kumar. In fact music and Mahi are so close to each other that the July born Mahi shares his birthday with one of India’s most loved and widely respected singer, Kailash Kher.